Even though I often talk about living in Oklahoma, I’m actually a transplant to the state. 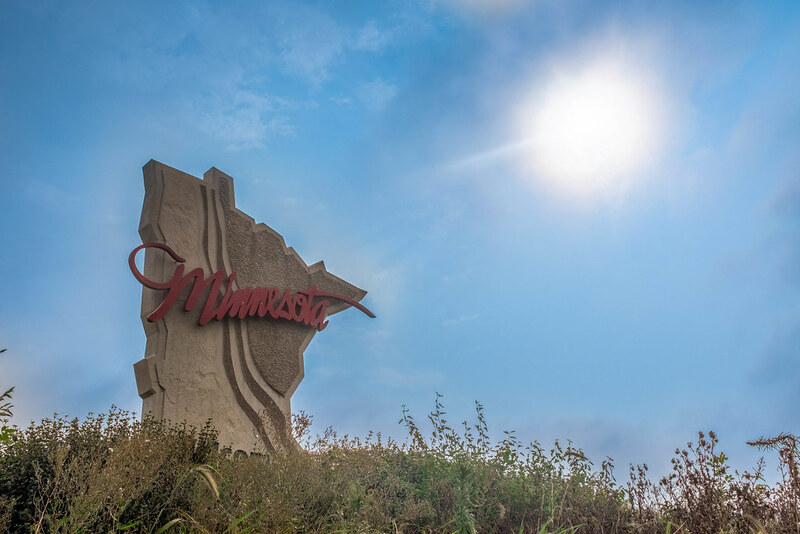 I was born in central Minnesota and lived most of my childhood in Nebraska, but once or twice a year my family would load up the minivan and head north to see relatives and go fishing at the lake. Back in the early 90’s most of the roads we took on that trip were two-lane undivided highways which meant the drive would take about 8 hours on a good day, and a lot longer in the winter. On these trips there was a stretch of Highway 60 between Le Mars, Iowa, and Worthington, Minnesota that held a bit of a special place in my heart because it was on this road that we passed the border between those two states. It was a milestone of sorts, and even though nothing about the road or scenery was any different all of us kids knew were were just that much closer to seeing our cousins and playing in the lake. Just across that imaginary line was a tiny little town called Bigelow that we never stopped in, but always thought was kind of cool simply because of its proximity to the border. The last time I took that stretch of road was probably 15 years ago on a drive up north from Nebraska, and I haven’t really thought about it much in the years since. But on my way back from a recent visit to my hometown I found myself driving southbound on Highway 60 and when I saw a green road sign informing me that Bigelow was a few miles ahead, I knew it would be a good opportunity for a picture. Thanks again for the discussion about how you achieved this. This is exactly what my students want to know. I learn from your comments. Now, I don’t do photoshop, so, maybe you need to come teach that for me. And…this does not look photoshopped at all. Thank you Rebecca! I appreciate you saying it doesn’t look Photoshopped, because that’s all I can see! I guess we’re always more critical of our own work though :) I’m glad it was helpful for you! Just want you to know I have been receiving your weeklyfifty for quite some time and I always enjoy not only your photos but also your personal stories. May our Lord continue to Bless you, the work you do and those close to you. photoshopped unless you start “Pixel peeping” which I don’t do. It’s the “crunchy” looking ones that really stand out in a hurry. Thanks for doing this; keep up the good work.